It's like family here in our clinic. Epidural and Transforaminal Steroid Injections: Cervical, Thoracic, lumbar and Caudal spine. Radiofrequency ablation for facet joint pain. Small and Large Joint/Bursa injections: Sacroiliac, Knee, Hip, Shoulder, etc. 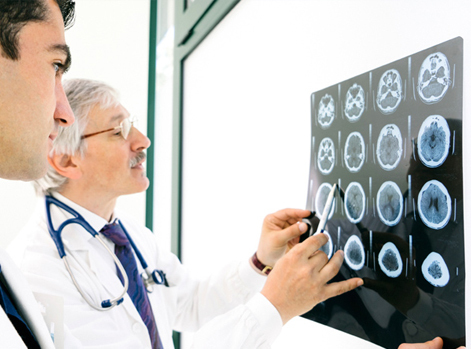 Inpatient and Outpatient consultations for stroke, headaches, epilepsy, multiple sclerosis and other demyelinating disorders, neuromuscular disorders, movement disorders, dementia and head and spine trauma. In office Electromyography (EMG) services for radiculopathies, compression syndromes and other neuromuscular disorders. In office Electroencephalogram (EEG) for suspected seizure disorders. In office Botox (R) injections for migraines and spasticity. Board Certified in Neurology Neurophysiology (EMG and EEG) and Pain Management. Inpatient and outpatients consultations. In office EMG and EEG. In office fluoroscopy and/or ultrasound guided interventions. Cervical, Thoracic, lumbar and Caudal steroid injections. Pain is an agonizing reality to millions of Americans but thankfully PNP Specialists is here to help.